It’s that time of the year again when the weather gets cold, leaves turn brown and unspeakable things awaken from their slumber.. Join us for a visit to the Haunted Houses of Halloween! Great prizes await inside for those brave enough. Create a Haunted House scene – add all the classical elements of a scary atmosphere, ghosts, skeletons and, well, unpleasant things in general. Your scene could be an interior or exterior, or both! It’s up to you to find the best way to scare us. We will be promoting all winners on our own site, our social media and with our partner sites such as IA Magazine, CGChannel and 3DTotal. We’ll aim to have all publicity live on Halloween, of course. 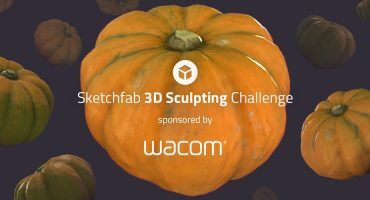 1st prize: $150 Amazon voucher*, a Sketchfab Hoodie and 12 Months of Sketchfab PRO ($120 value). 2nd prize: $100 Amazon voucher*, a Sketchfab T-shirt and 6 Months of Sketchfab PRO ($90 value). 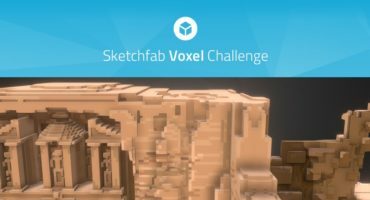 3rd prize: $50 Amazon voucher*, a Sketchfab Cardboard VR Viewer and 3 Months of Sketchfab PRO ($45 value). Start your own topic in the dedicated Halloween Contest 2015 forum where you document your work in progress (WIP). Post regular updates (with images and Sketchfab embeds), and be sure to mark which entry is your final submission. Publish your final entry to your account, and tag it with #halloween-2015. You can submit as many times are you like. Only submit new work that you created for this contest though! Entries close Wednesday October 28th and the winners will be announced on Friday October 30th. Increase your chances of winning by hiding a terrible secret inside or around the house – waiting to be stumbled upon. Or, use annotations to take the viewer on a hair-raising tour around or through your mansion. Also, documenting your progress in a WIP (Work In Progress) topic on our Artwork forum will get you some extra points! 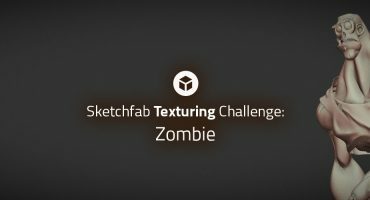 Contestants models must be uploaded to Sketchfab and tagged #halloween-2015 to be considered. The winner will be contacted by Friday October 30th.